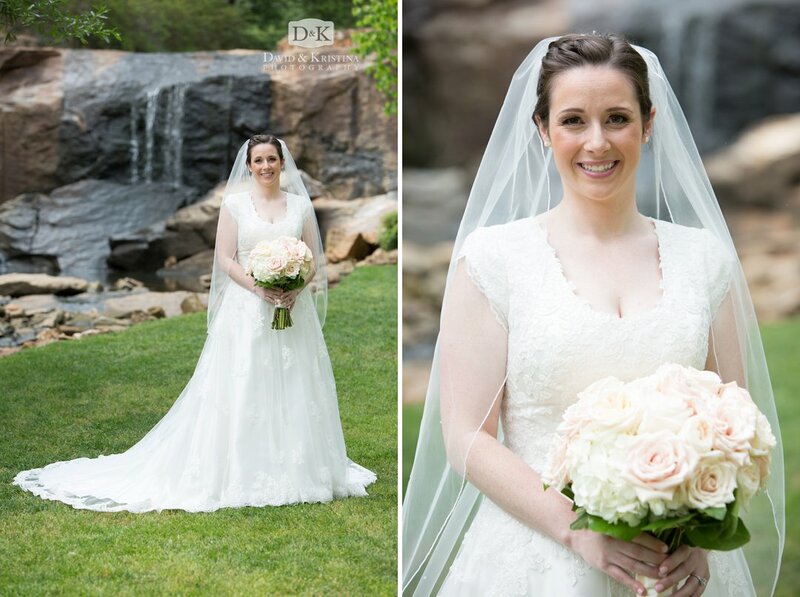 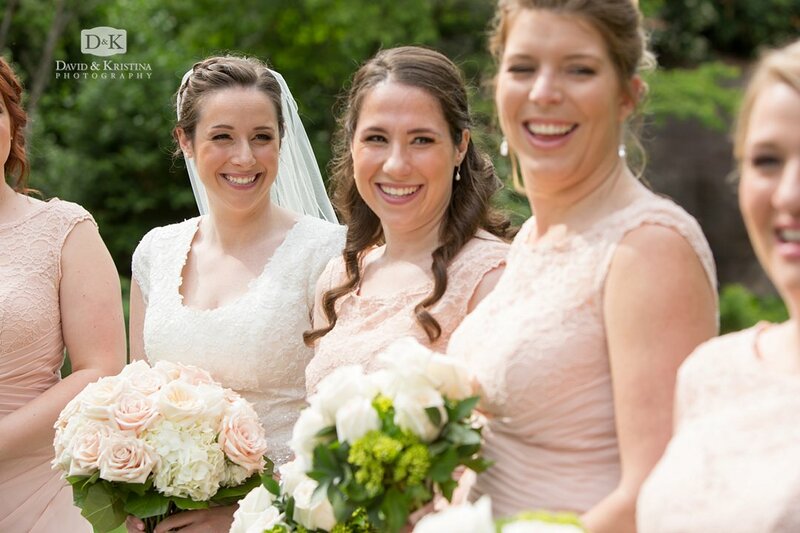 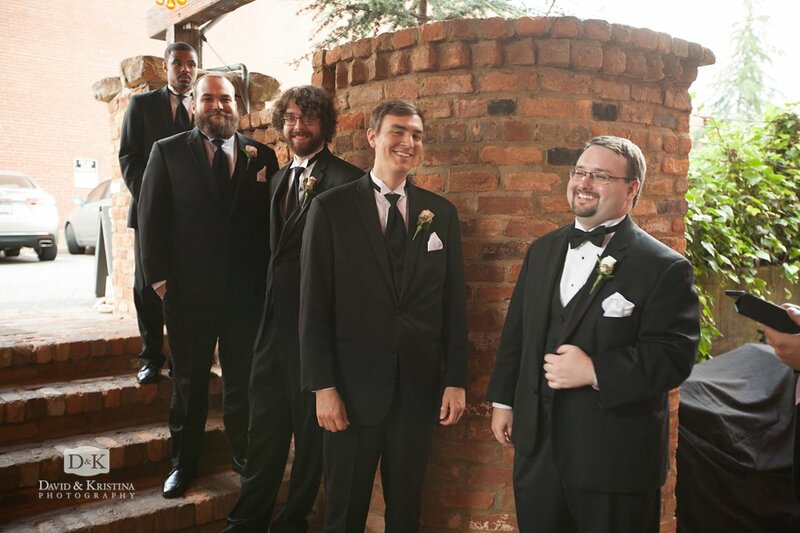 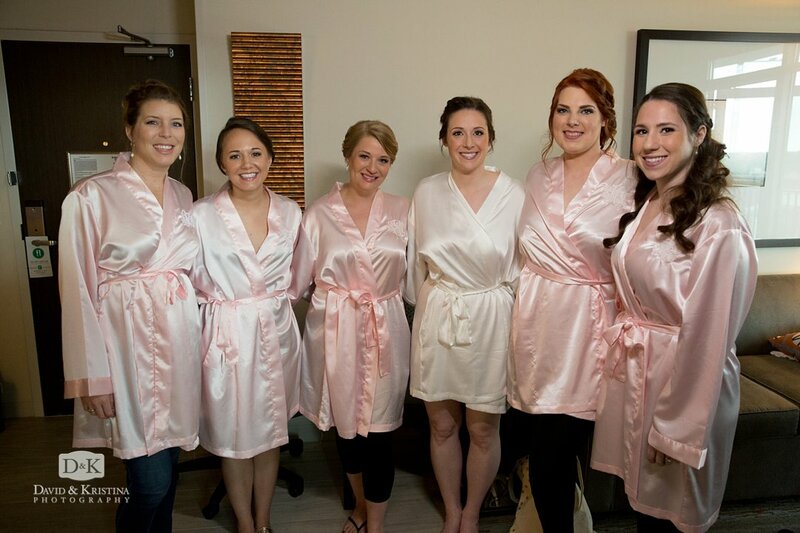 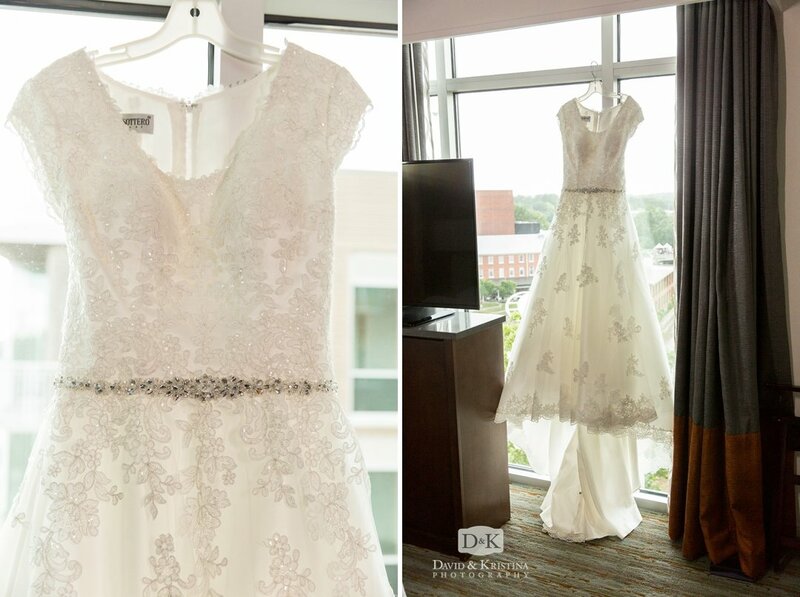 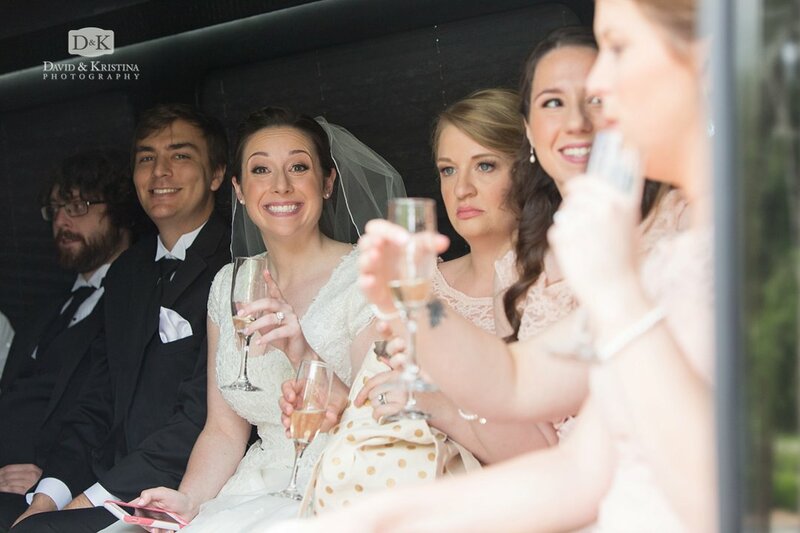 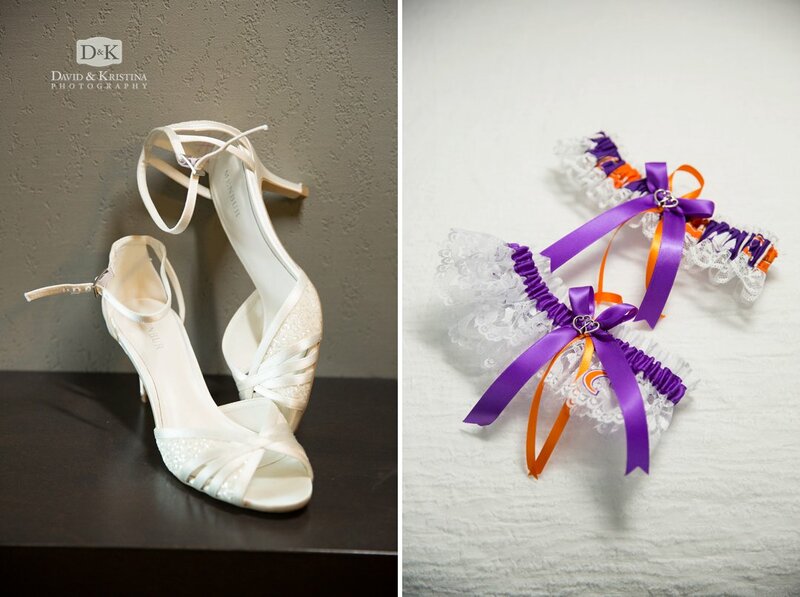 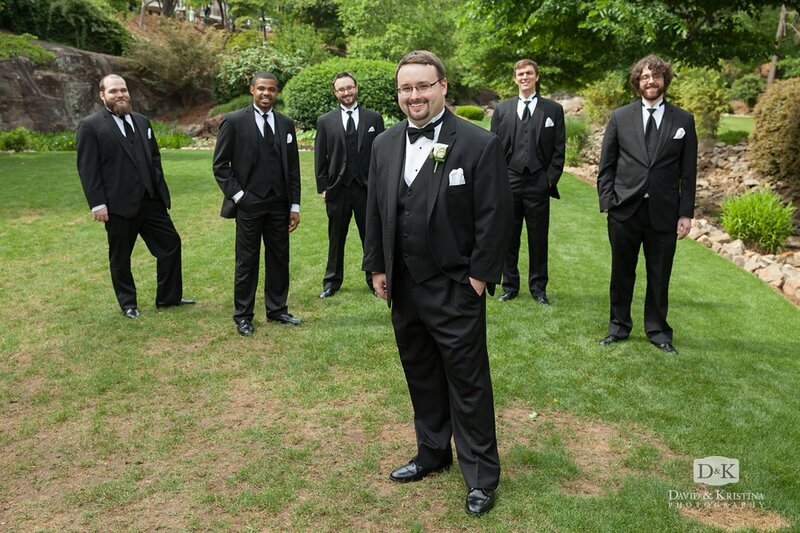 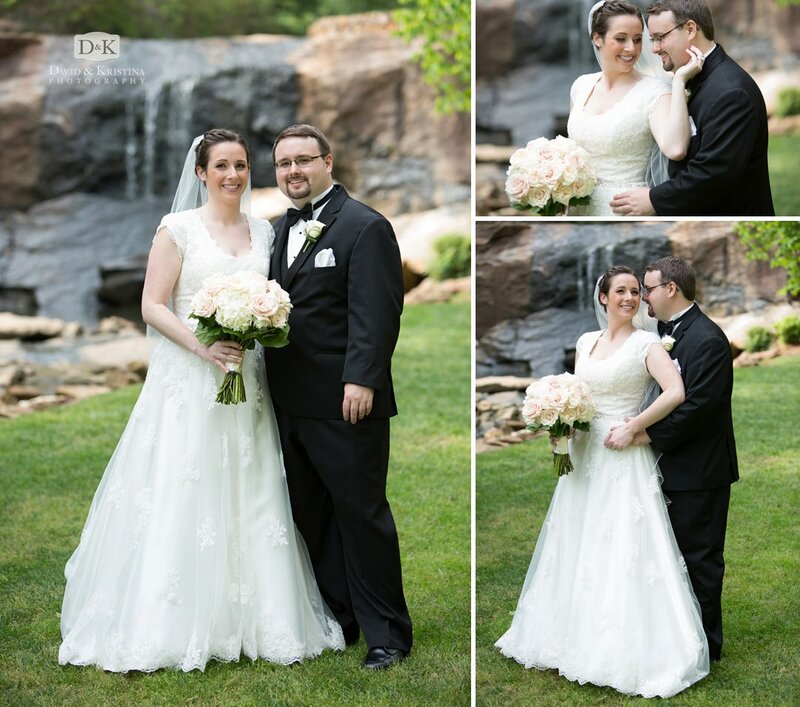 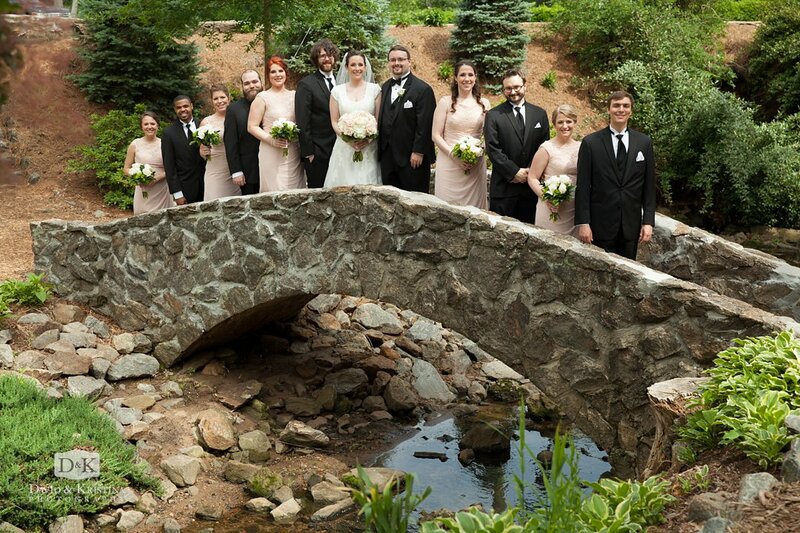 Their honesty allowed us to really dig deep into the real emotions and feel of the wedding day. 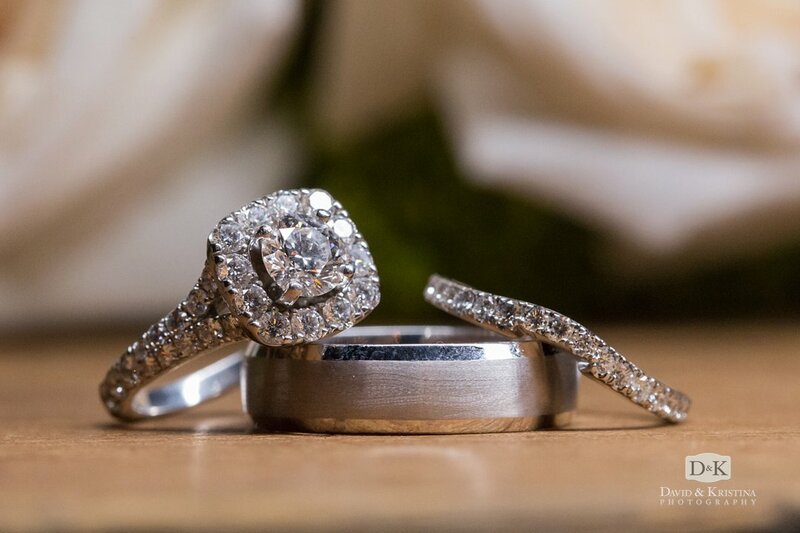 Of course everyone wants pretty pictures, but pretty pictures don’t matter unless they have meaning. 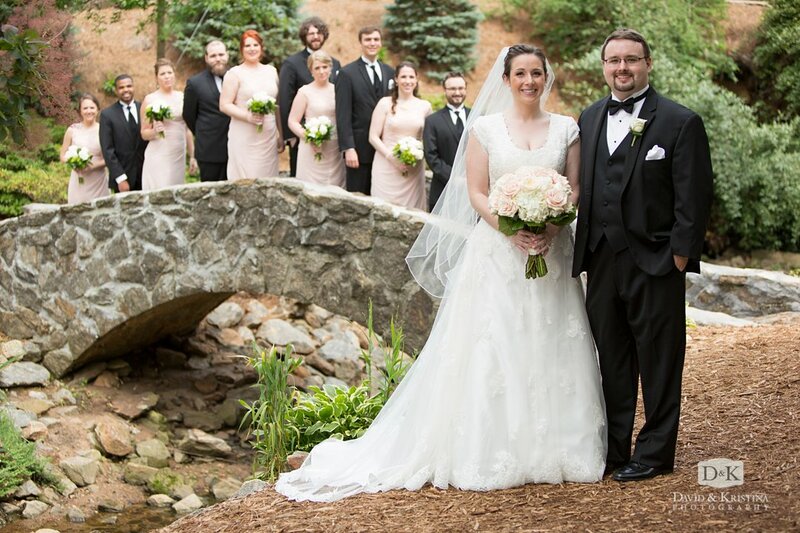 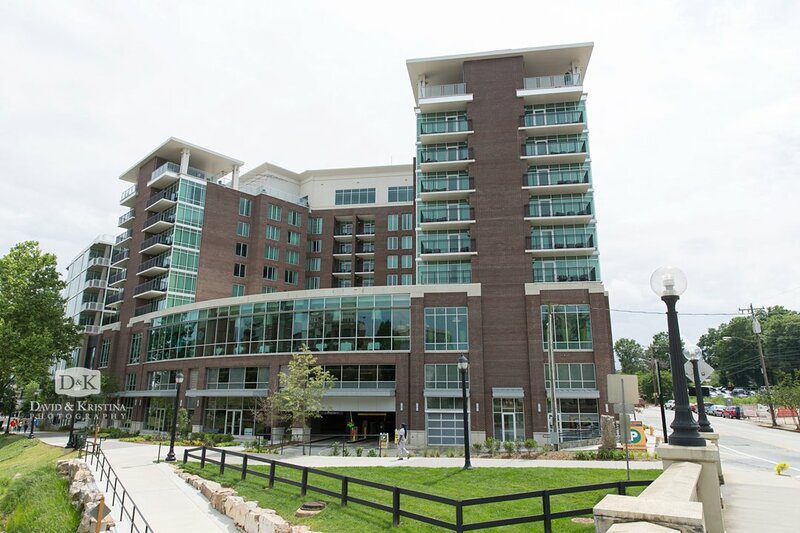 While getting to know Andy and Carrie, we were able to discover who they really are as individuals and were able to connect with them on a very personal level. 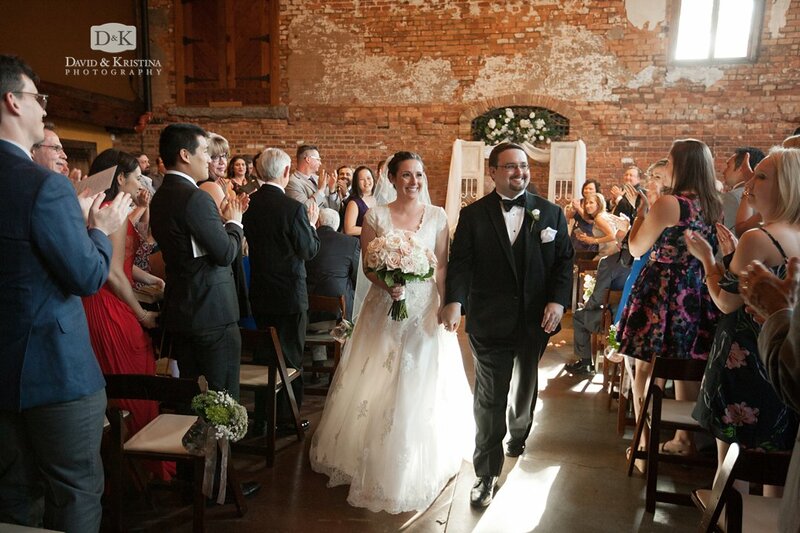 Carrie is a very thorough person when it comes to both organization and relationships. 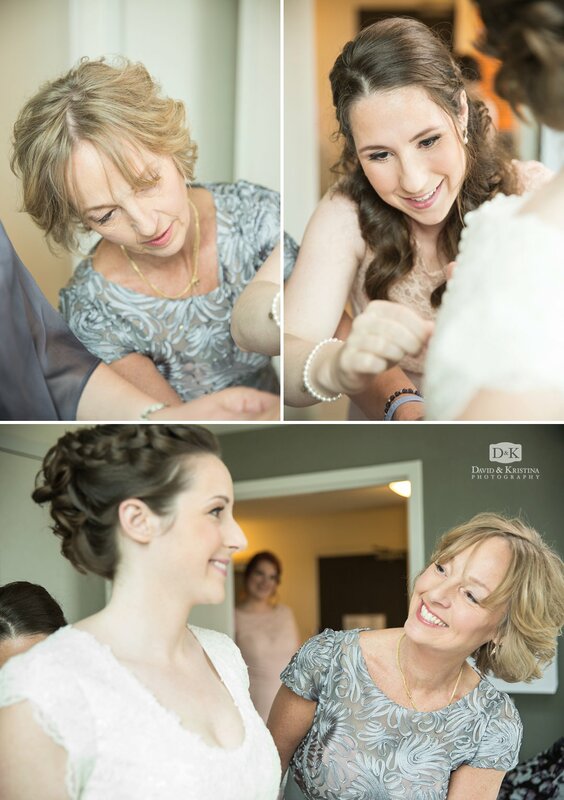 She’s a very strong person who also really knows how to listen. 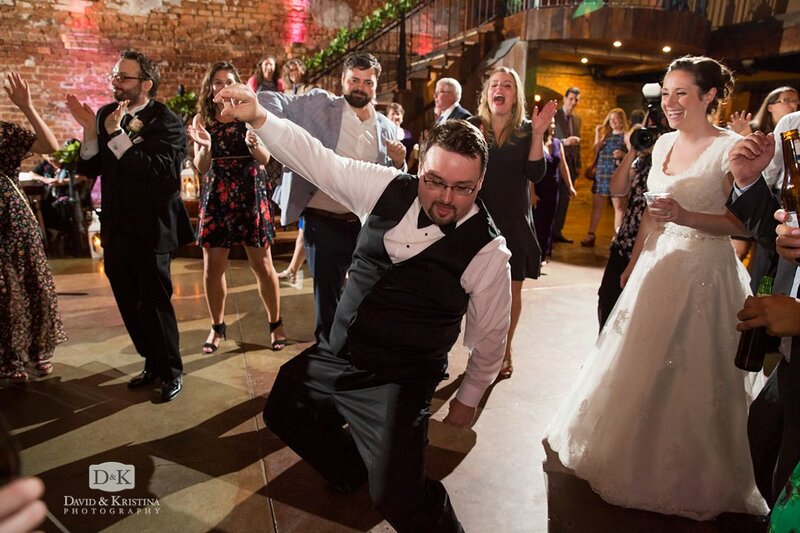 Andy seems to always be putting others (specifically Carrie) before himself. 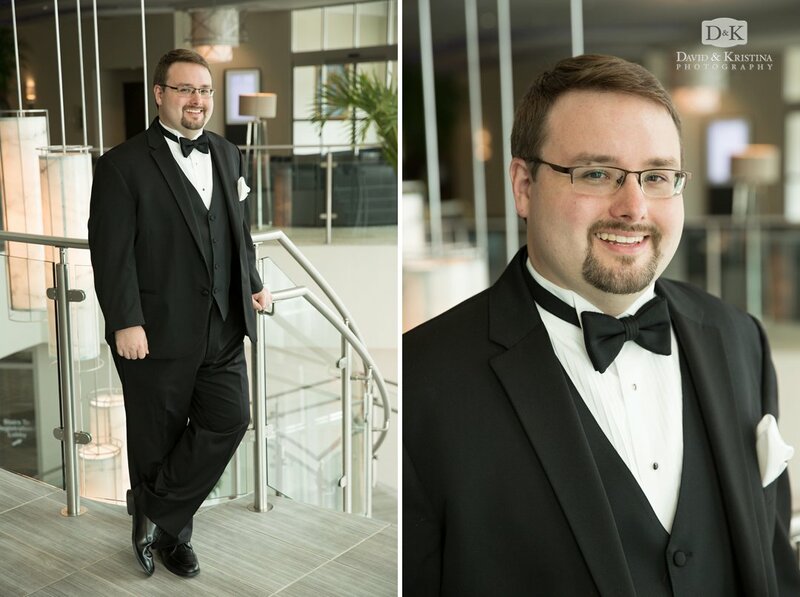 He is very compassionate and gladly does things to make others happy, but also stands firm in his opinions and leads by example. 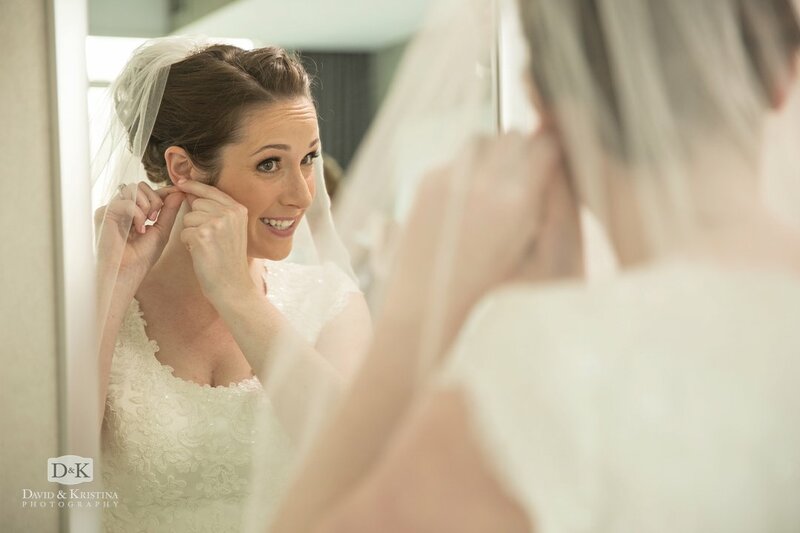 Knowing these very specific and personal things about a bride and groom are essential to capturing the things that are most meaningful to them on the wedding day…not just taking pictures of things, but finding the emotions behind the events we photograph. 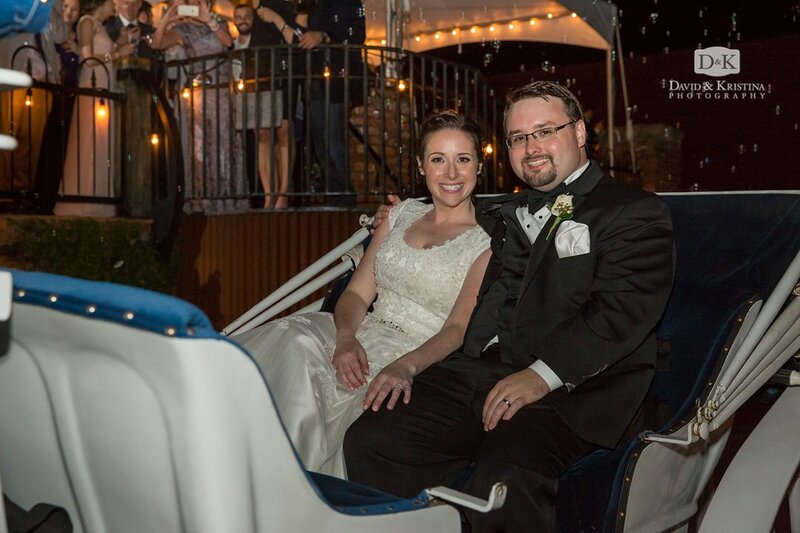 Andy and Carrie, we wish you both the very best in your marriage! 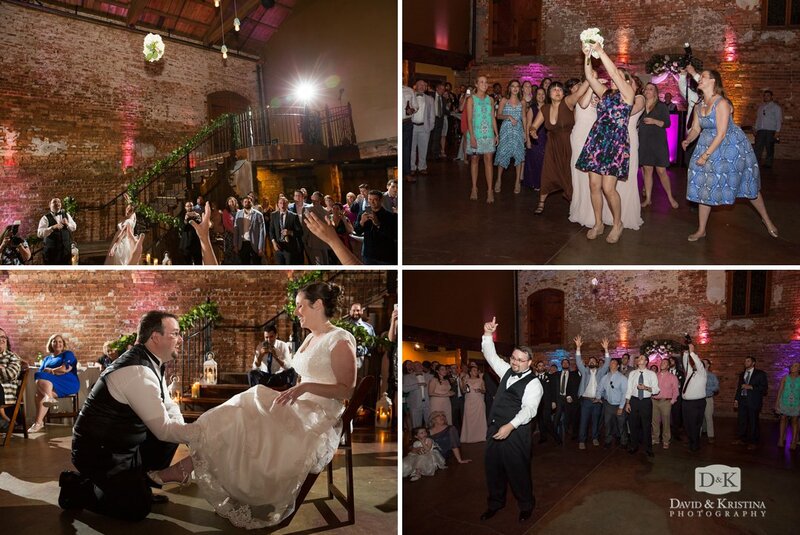 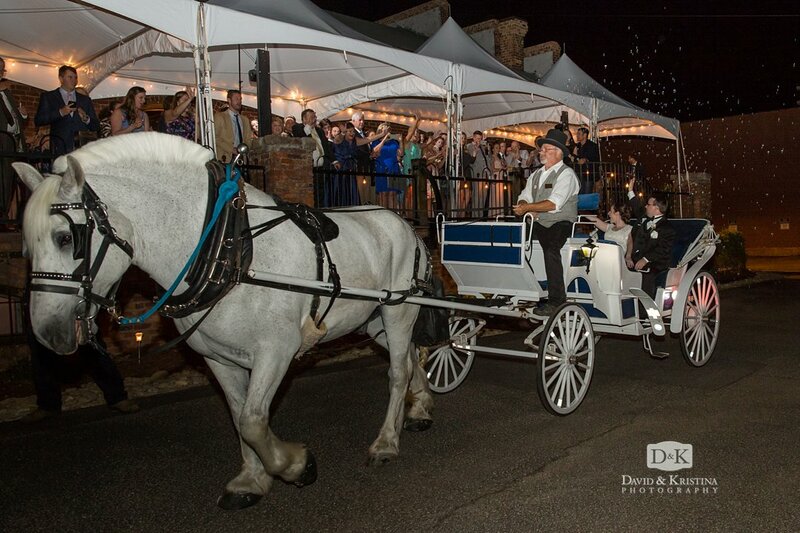 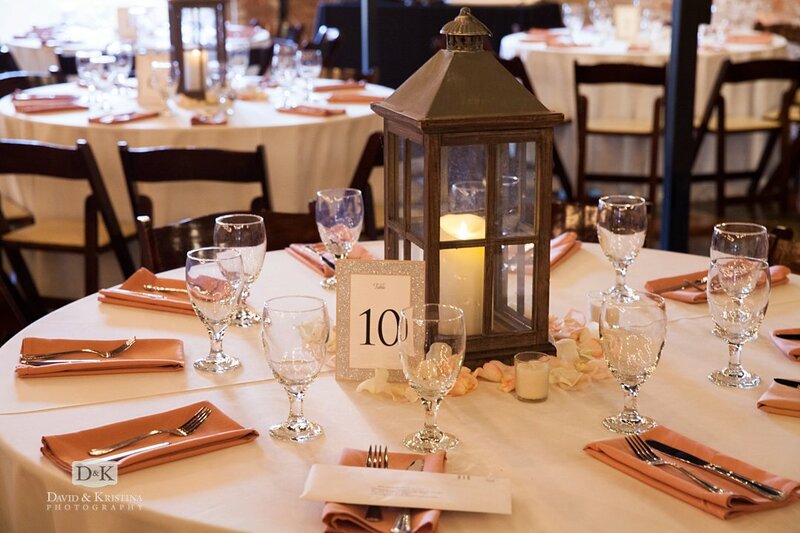 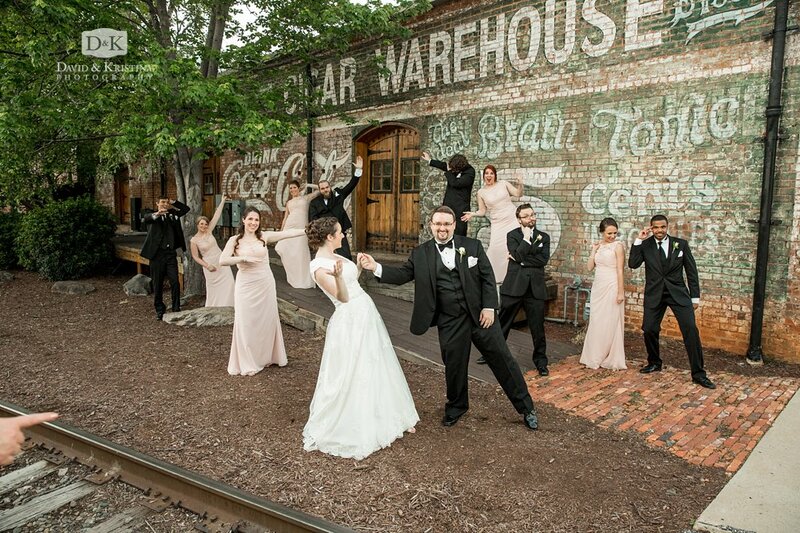 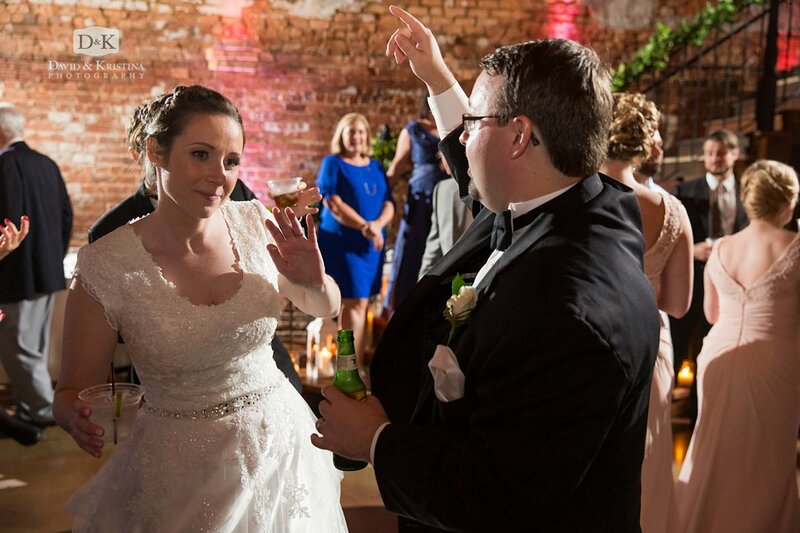 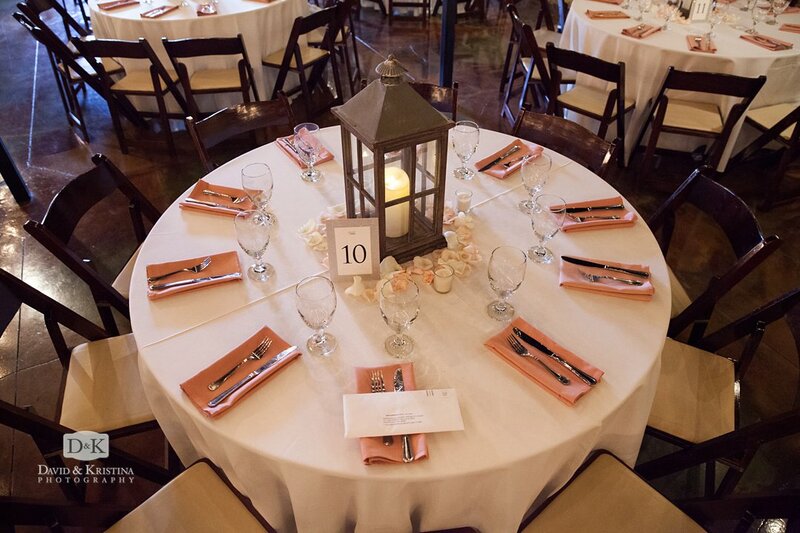 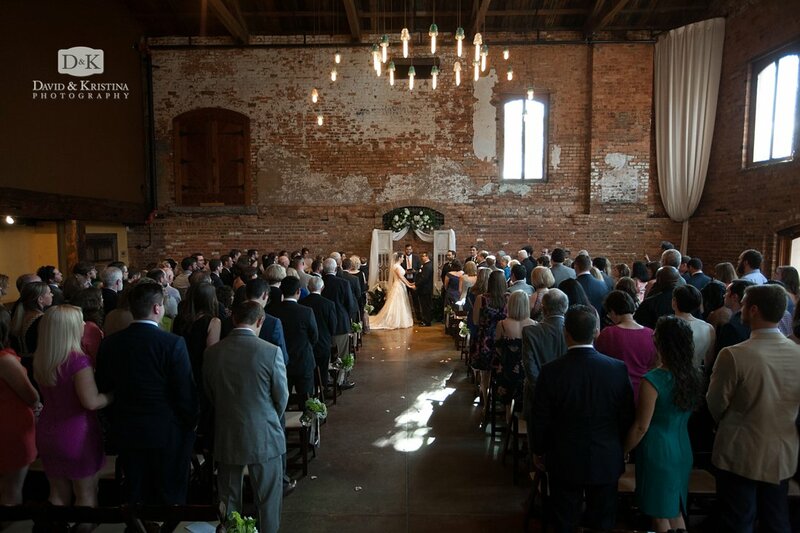 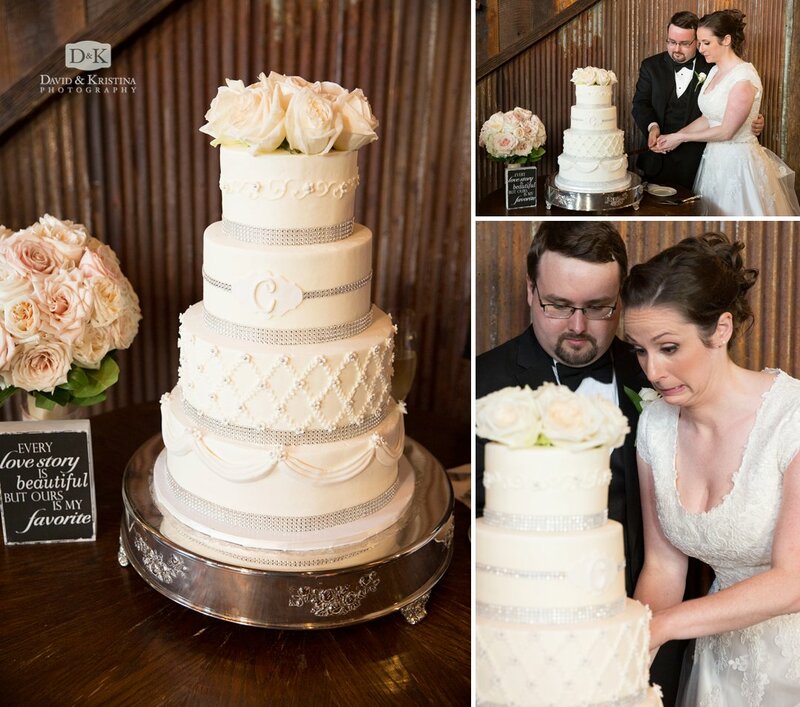 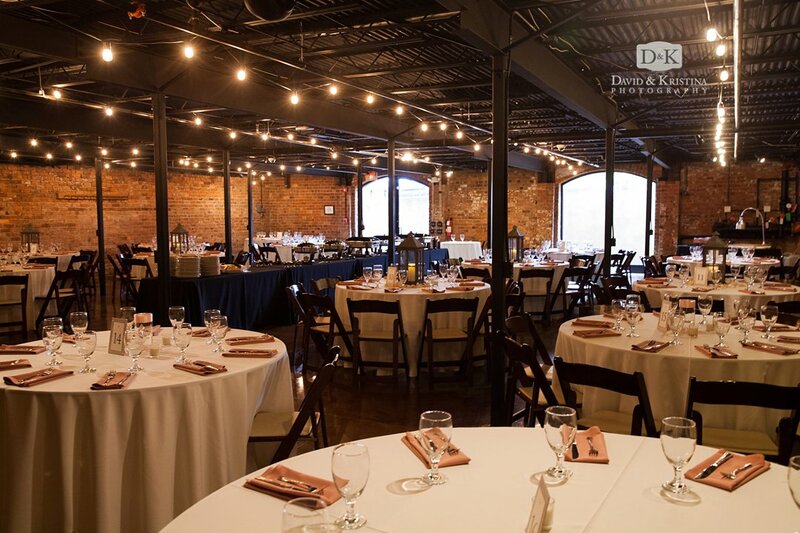 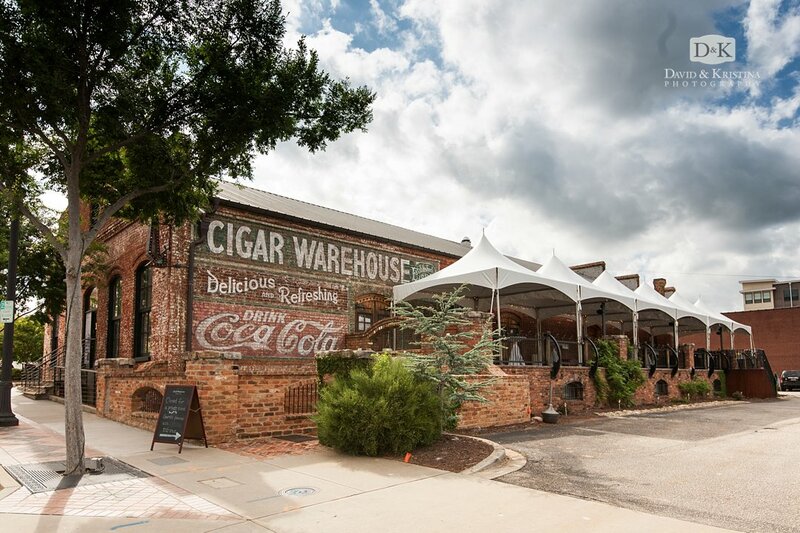 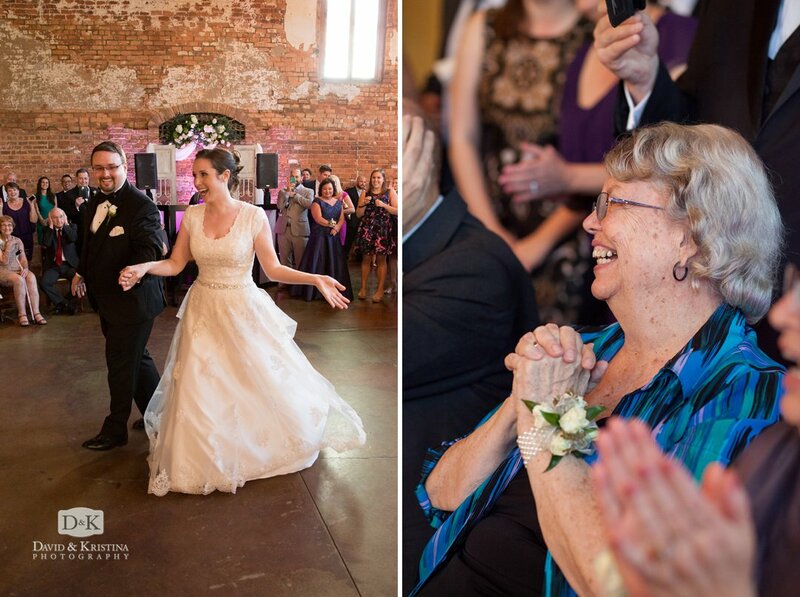 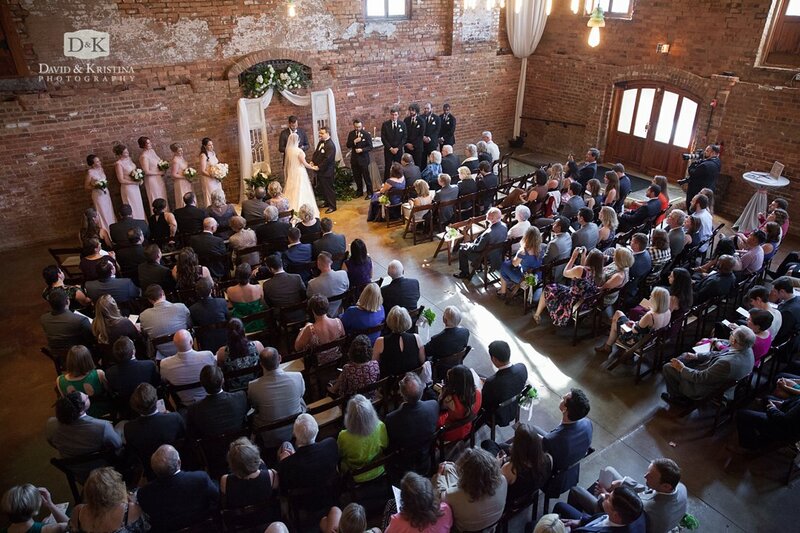 Here are some of our favorite photos from their Old Cigar Warehouse wedding in May. 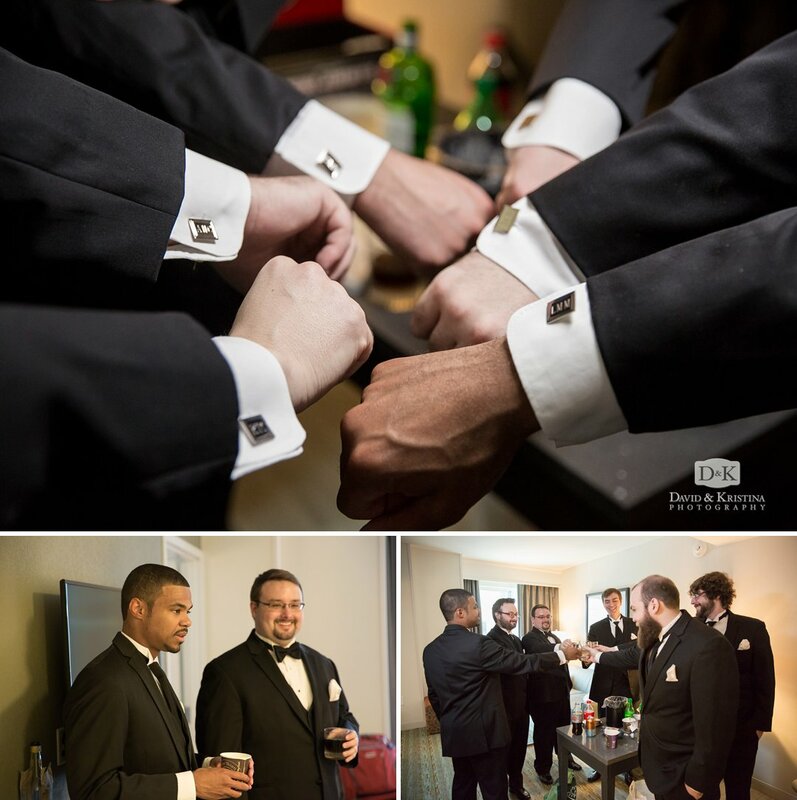 A great groomsman gift, monogrammed cufflinks. 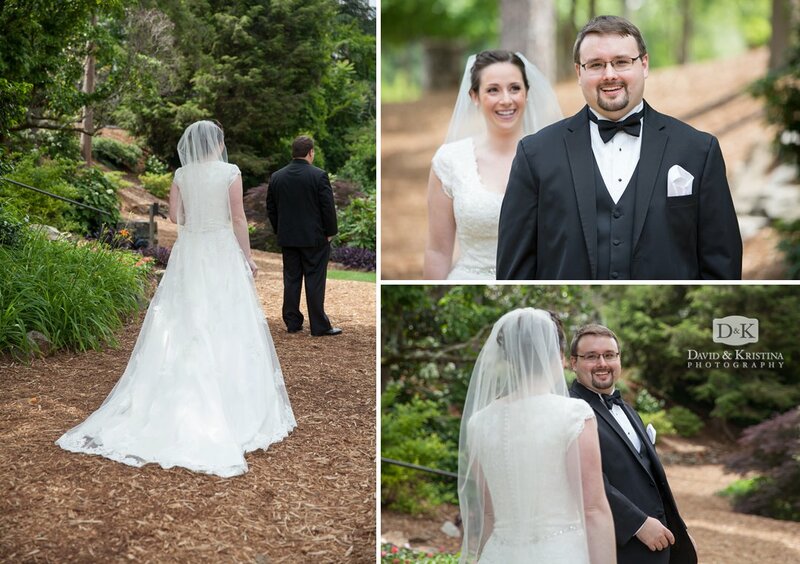 Fortunately, they decided to do a first look and were able to see each other privately before the wedding. 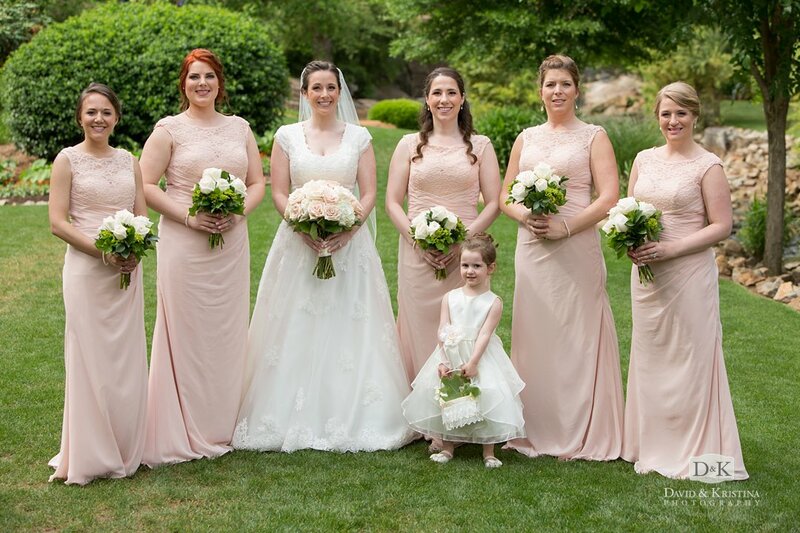 This allowed them to share a very special moment together and also enabled them to get many of the group photos done before the ceremony. 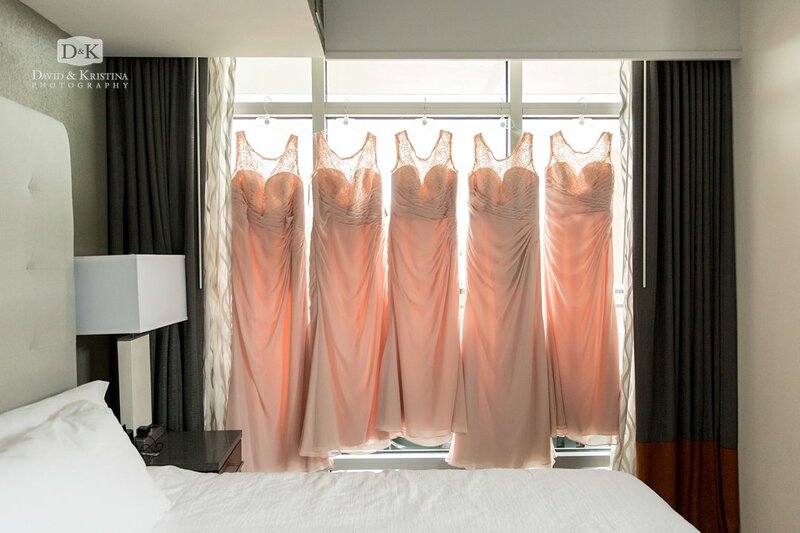 They could enjoy the whole day without feeling the pressure of a tight schedule. 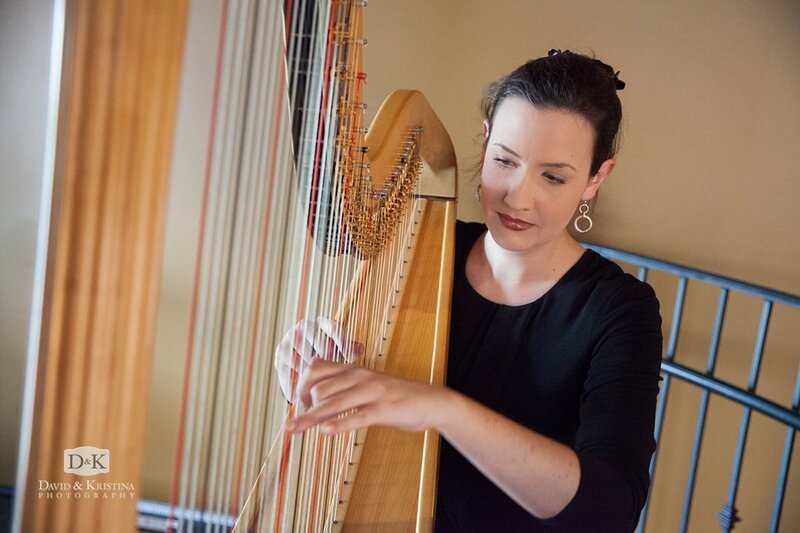 Having harp player, Claire Marie Stam, for the prelude and processional was one of Andy’s favorite parts. 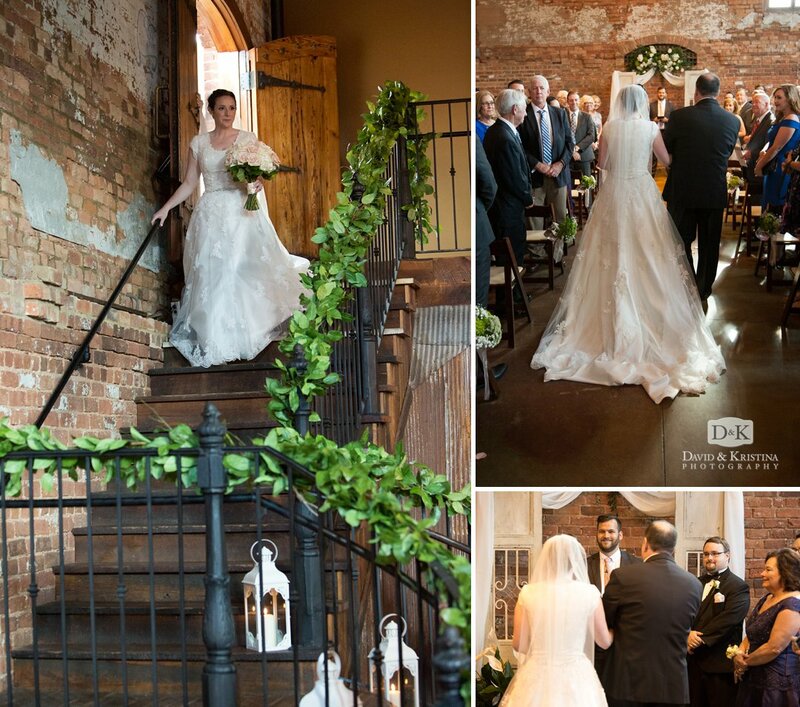 It really set the scene and added to the overall experience of seeing his bride walk toward him down the aisle. 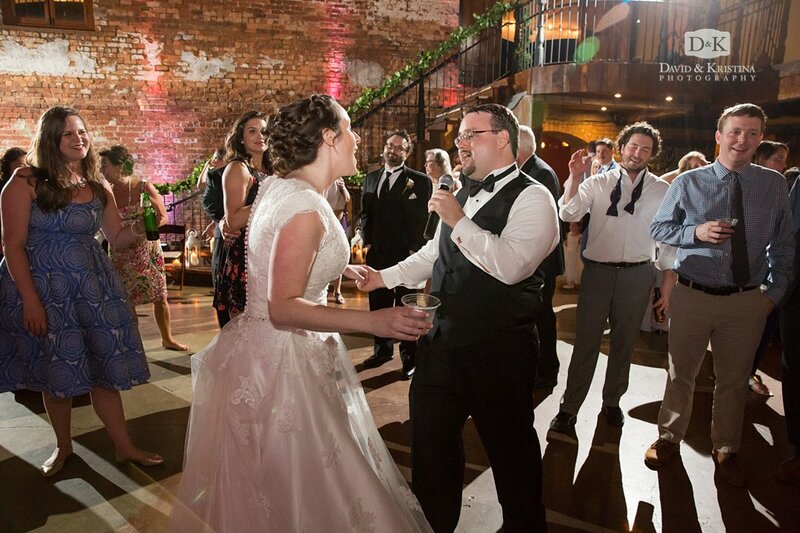 Andy’s brother may have missed his calling as a stand up comedian because he had one of the funniest best man toasts we’ve ever heard. 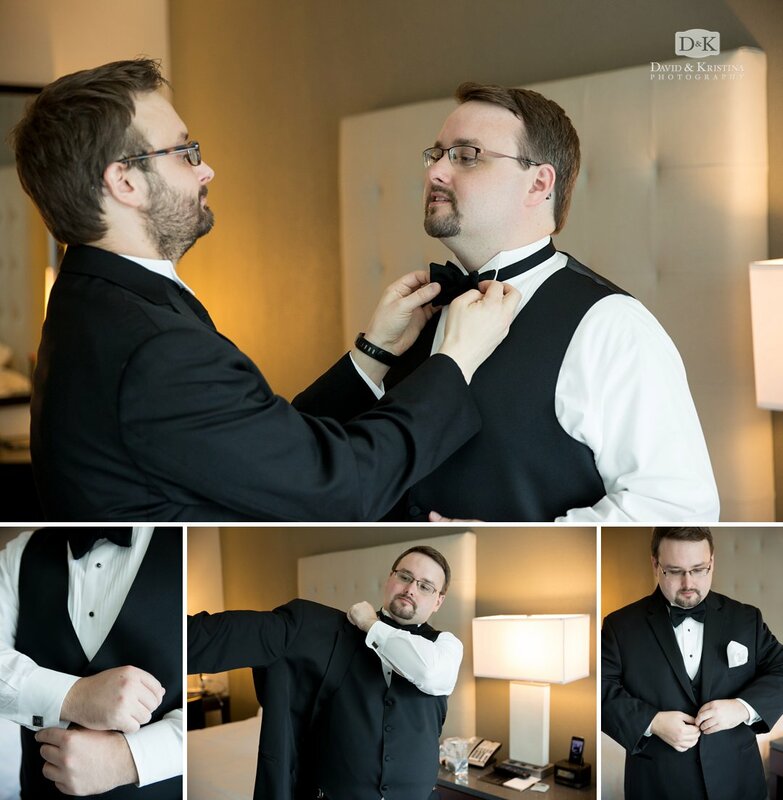 He was also very genuine and obviously has a very deep love and appreciation for his brother. 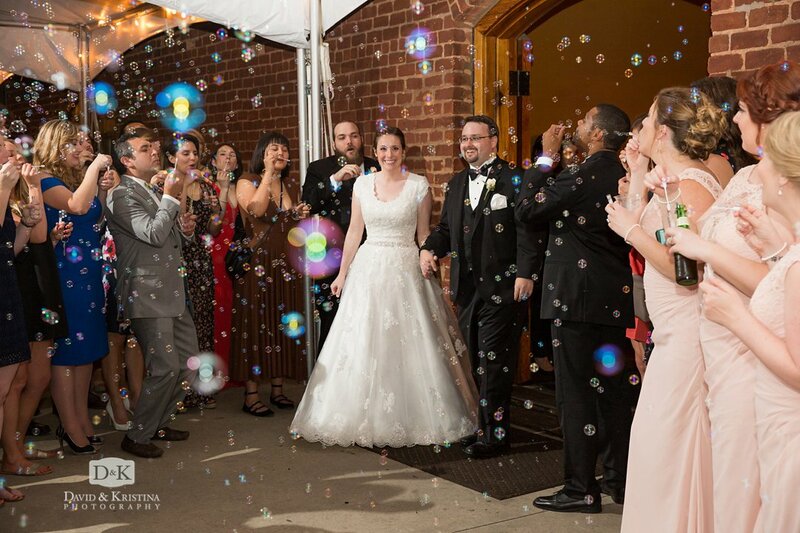 A bubble exit is a great idea for a bride and groom wanting to do something different from the popular sparkler exit. 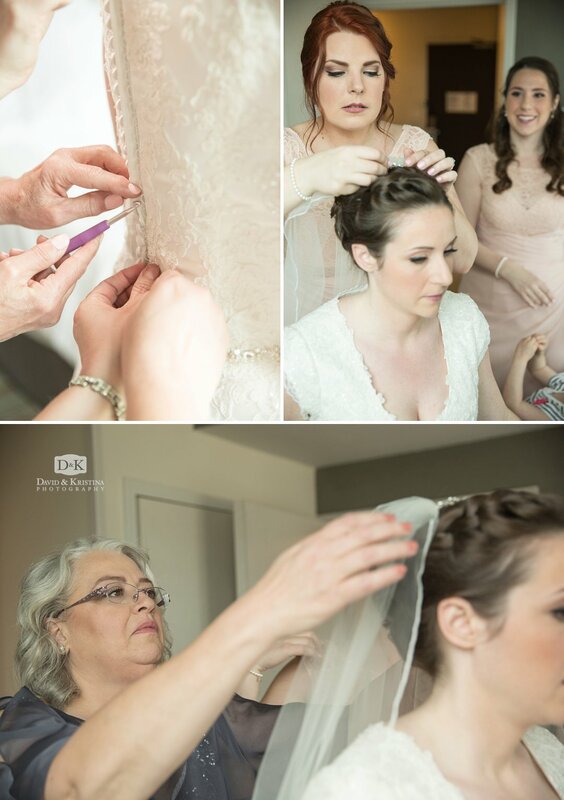 It really helps to have a bubble making machine to add to the bubbles blown by the guests! 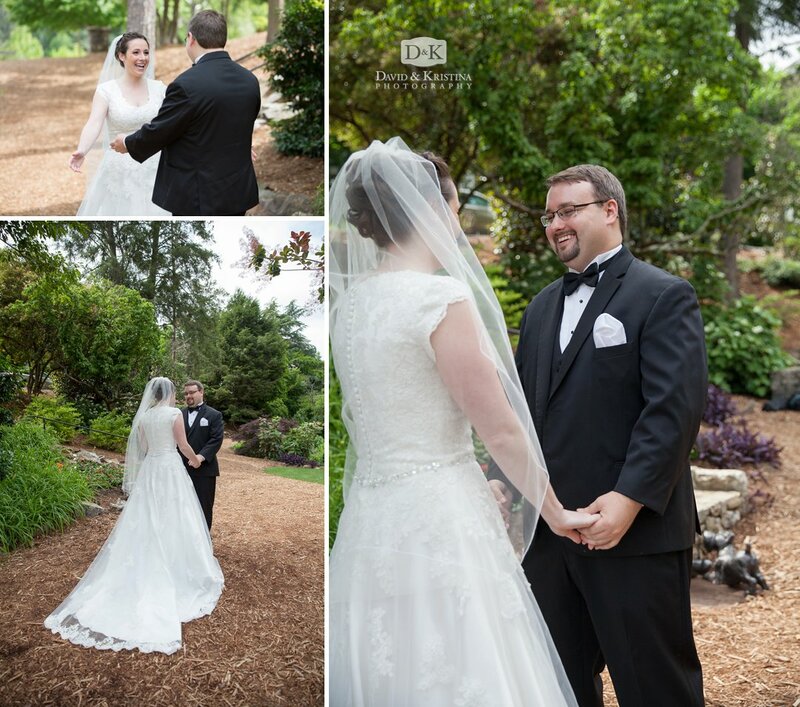 See other featured weddings See Andy & Carrie’s Engagement Photos See if David & Kristina are available to photograph your wedding.